South Africans are brand loyal. Some fiercely so. Don’t get me wrong; there’s nothing erroneous about going down the same road over and over again, but you are running the risk of not fully knowing what the market has to offer. Mitsubishi is one of those auto-makers that, if you take into account their productive offensive, should be enjoying a much, much larger market share. If only prospective buyers test drove everything in the segment they’re interested in, but they don’t, so it’s up to us motoring scribes to unveil these hidden gems and hopefully help at least some prospective buyers to make a more informed decision. Let’s take double cab bakkies, for instance. First consideration will likely be a Toyota Hilux or Ford Ranger first and then consider something like an Isuzu KB (now called the D-Max) because that’s what you see most on our roads. But what about the Mitsubishi Triton? Let me tell you that I think this is the most underrated bakkie in South Africa, and it could just be the one to have. Launched in January 2017, the new Triton made its long awaited début in South Africa. 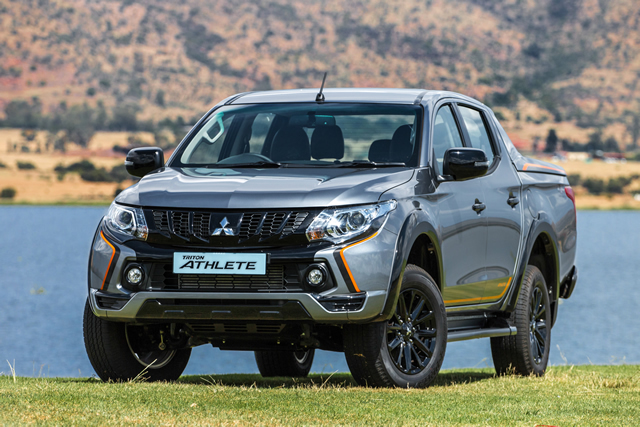 Fast-forward a year later and the auto-maker launched a special edition Triton in SA, called the Athlete. And boy oh boy, is this one sweet puppy. The fundamental package is still the same capable Triton, same engine, gearbox and ground clearance, but with much more aggressive styling, decals and trims. 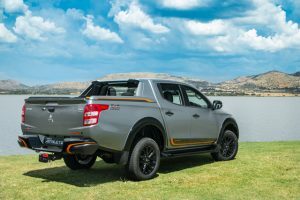 In a grey hue, complemented by orange and black decals, menacing black rims, a sporty cover behind the rear doors, sidebars, and a hydraulic load bay cover the Triton Athlete stands out in the dime-a-dozen ordinary bakkie crowd like a cheetah in a cattery. Inside the interior is adorned in black and orange leather seats complete with orange stitching. It really makes for an overall visual feast that, in my opinion, makes the Triton Athlete one of the best-looking bakkies on the road. Under the bonnet the 2.4-litre turbocharged diesel engine delivers a lively 133kW and 430Nm of torque, while power is can be sent to either the rear wheels or all four wheels via Mitsubishi’s Super Select II 4×4 system. The five-speed automatic gearbox is a gem that handles whatever is thrown at it. The real eye-opener though is not the engine or the gearbox, the comfortable seats or the suspension and handling, it’s the sum of it all. How these elements come together in the total package. 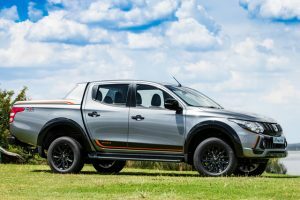 It’s a softer ride, compliant, rear passengers have no qualms about a jittery rear, the turn-in is light and sharp, road-holding on point… This bakkie drives more like an SUV than either the Nissan Navara or Mercedes-Benz X-Class. With the Triton you don’t have to sacrifice a ride comfort for the sake of having a bakkie; you can have a bakkie AND a nice ride! It’s sad, really, that so many people will buy a bakkie without even having considered the Triton. 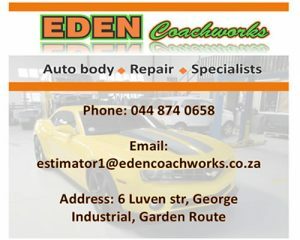 At R579 995 it’s cheaper than the equivalent more popular bakkies. All we as motoring scribes can do inform and hope. Maybe somewhere someone will take note, test drive all and make an informed decision.